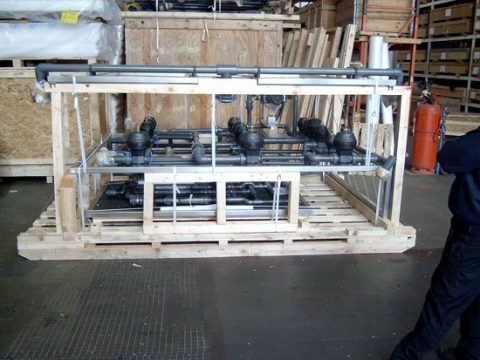 If required, all machinery we receive can be wrapped and fastened down to the base of the case or container safely and securely, reducing the amount of movement the machinery parts have, which prevents any damages from occurring during the shipping process. We can ship machinery parts of any size, from small metal components to massive turbine engines. We provide a professional and reliable freight forwarding service for machinery of all shapes and sizes. 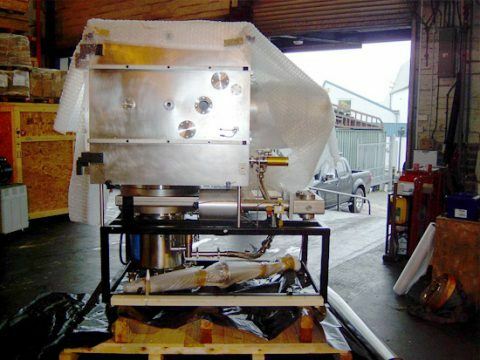 No matter the shape or size of the machinery you wish to send, or where you intend to send it, you can rest assured that Power Packing will get your product to its final destination safely and securely. We can also help you go through each stage of the freight forwarding process, from the important documentation that is essential to send products across to other countries, to the collection and packaging of the machinery itself. Call our dedicated freight specialists, based in Exeter, on 01392 468088 to find out how we can help you with your freight packing and forwarding.